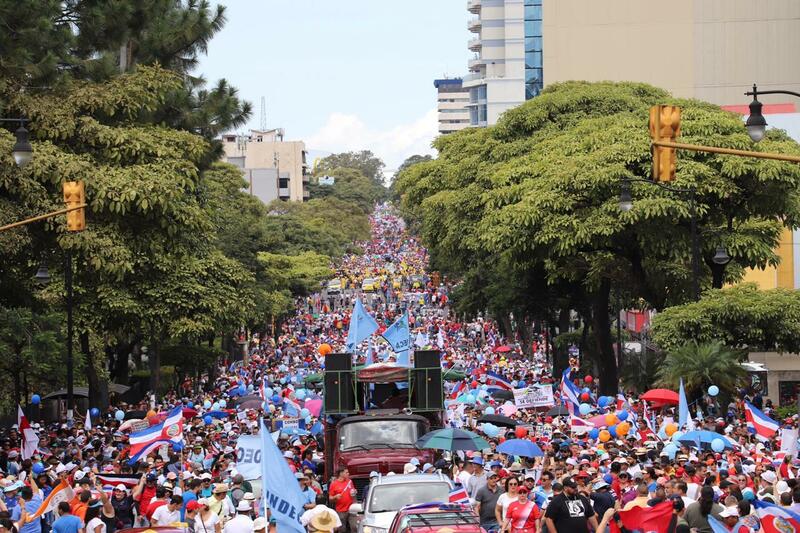 Trade unions and social movements across Costa Rica organized a grand national march on September 12, protesting tax hikes and spending cuts proposed by President Carlos Alvarado. The first few days of the national indefinite strike in Costa Rica saw large-scale mobilizations by various sections of workers. Public sector employees, including teachers, medical workers, telecommunications employees, municipal employees and transportation workers, as well as students, blocked roads and disrupted services as part of the strike that began on September 10. 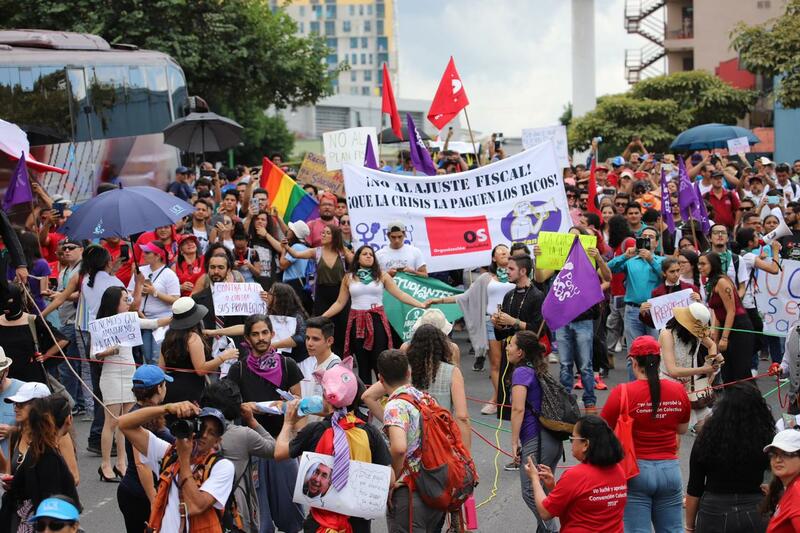 According to Albino Vargas, the union leader of the ANEP (National Association of Public and Private Employees), the first two days of mobilization served as preparation for a grand national march on September 12 in the capital, San José. The march began from the monument of León Cortés Castro and ended at the National Assembly. The national strike was called for in response to the tax reform coupled with fiscal adjustment proposed by the Costa Rican government through the Bill for Strengthening Public Finances, which aims to reduce the deficit (the expected deficit for 2018 is 7.1% of the GDP) and which president Carlos Alvarado claims will help avoid a financial crisis. The principal aspect of the so-called “fiscal combo” is the imposition of a value added tax (VAT), which will lead to a 2% increase in the prices of basic food commodities. In addition, a 13% tax will be levied on electricity consumption exceeding 280 Kwh and water consumption exceeding 30 cubic meters. It also proposes a 2% tax on all medicines, medication and private education. In addition, changes have been made to the income tax on salaries and capital income. A significant drop in public sector expenditure (mainly affecting the salaries of public sector employees and education workers) is also in store. All these measures are aimed at increasing the GDP by 2%. The night before the strike, president Carlos Alvarado declared that the strike was illegal and claimed that he was willing to negotiate with the trade unions to find a solution to this conflict. His government also ordered a heavy deployment of police across the country. Carlos Alvarado, a member of the center-left Citizens’ Action Party (PAC), won the second round of elections with 60.66% of the votes and assumed the presidency of Costa Rica on May 8. He then announced that he would stick with some of the proposals of his predecessor Luis Guillermo Solis, who is also from the same party. Many of these plans had never been cleared as the party did not have a majority in the assembly. According to trade unions and social movements, the adjustment measure will affect the middle and lower classes in particular and will incorporate “a tax amnesty for large corporate debtors”.